Bayern Munich chief Karl-Heinz Rummenigge has confirmed the club rejected a huge offer for Thomas Muller this summer with Manchester United understood to have tabled a £60m bid for the German attacker, according to the Daily Mail. Louis van Gaal was extremely active during the summer transfer window and splashed out big-money to bring in six new signings with French youngster Anthony Martial the last to arrive having joined from AS Monaco on deadline day. However, United were also linked with some other marquee names during the summer months and Muller was one of those who was understood to have been on van Gaal’s radar with the Daily Mail reporting back in August that the Red Devils had submitted a £60m bid for the German international. It appears those reports had some foundation as although Rummenigge doesn’t name United as the interested party, the Bayern chief has confirmed they rejected a huge offer for Muller during the summer. Rummenigge went on to hint that the bid came from the Premier League after saying the influx of television money in England isn’t making things easy for the Bundesliga giants. ‘If I were a bank manager then I would have had to accept it. ‘But as a football club we allowed ourselves to close the door on it, and this door is remaining closed. I can promise that to everybody. 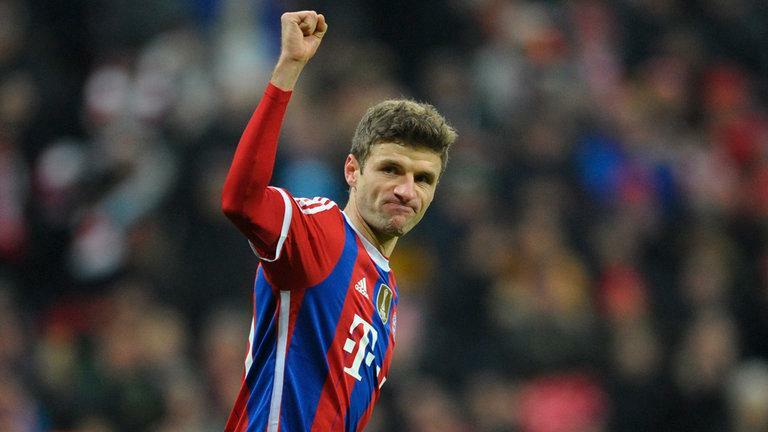 I think it’s safe to assume that the Bayern supremo has all-but confirmed United’s bid for Muller and he would have been a sensational signing had van Gaal been able to pull it off. The 25-year-old is a world class talent who’s capable of playing anywhere across the front three and despite not always being played as a striker, Muller has still managed to score 126 goals in 308 games for Bayern. That’s the kind of goal threat United are crying out for so I’m sure van Gaal was disappointed to miss out, but it appears Bayern are determined to keep hold of the German international, and who could blame them.